Come try violins, other members of the violin family and bows from more than 8 regional instrument makers. 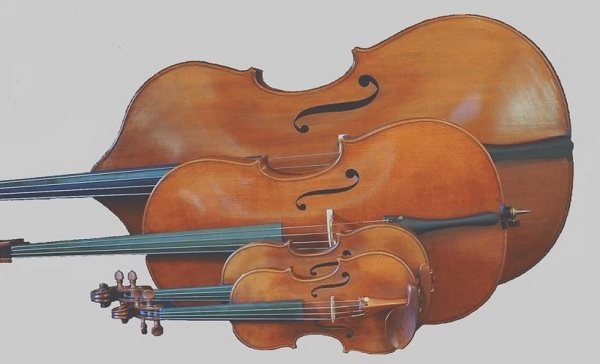 Fine violins, 5 string violins, violas, cellos, double bass and bows are exhibited and available for trial. Instruments and bows built by regional makers are featured. instruments and talk to the makers. There are many reasons to be excited about new Glasgow-based five-piece Ímar – not least a line-up featuring current and former members of Mànran, RURA, Talisk, Barrule, Cara, Mabon and The Lowground, whose collectively crammed trophy-cabinet includes a BBC Young Folk Award and several All-Britain/All-Ireland titles. By far the best and biggest reason, however, is how excited the band are themselves. It’s the combined commonality and diversity of background and influences that fuels Ímar’s unmistakable synergy, centered on the overlapping cultural heritage between Scotland, Ireland and the Isle of Man. All three places once shared the same Gaelic language – the name Ímar comes from a 9th-century king who reigned across this combined territory – and a similar kinship endures between their musical traditions. 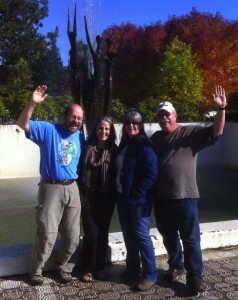 Cascade Crossing is currently one of the hottest and most sought after bands in the Pacific Northwest region. They have developed a reputation for intense creativity, breadth of instrumentation, and energizing dance crowds. 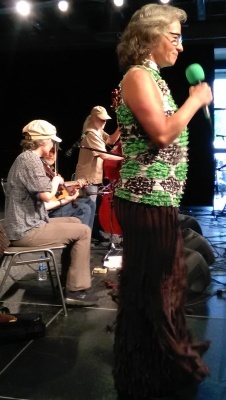 Cascade Crossing’s music is influenced by many styles, with touches of baroque, Caribbean, Celtic, Klezmer, traditional, northern, southern, jazz and ragtime. With many original tunes, expect the unexpected, from hard-driving reels to smooth, mysterious jigs. 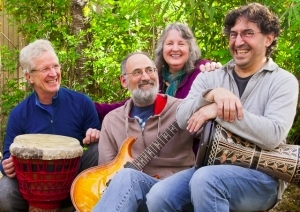 Using their wide range of instrumentation and styles, Cascade Crossing fills the dance hall with an exciting palette of musical colors and textures. 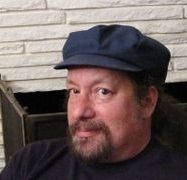 From Palo Alto, Ric teaches and calls contra and English Country dances as well as performing Morris dance. Hosted by the GRAMMY Museum’s Bob Santelli, director of popular music in the OSU College of Liberal Arts and the Majestic Theatre, the conversation and performance that comprises each segment of American Strings makes for a one of a kind opportunity to appreciate and know better the great American music tradition. 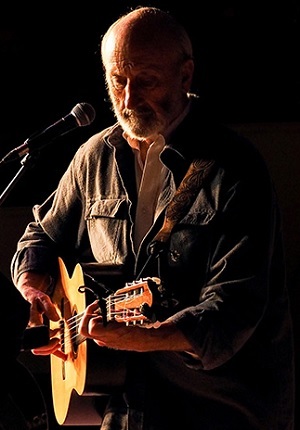 This month will feature musician and Social Activist Noel Paul Stookey who has been altering the musical and ethical landscape of this country and the world for decades – both as part of the legendary folk trio Peter, Paul and Mary, and as a successful solo artist. Funny, irreverently reverent, thoughtful and passionate, Stookey’s voice is best known for his classic “The Wedding Song (There Is Love),” which has become a standard of American wedding playlists since the 1970’s. Most recently, Noel’s musical political commentary, “Impeachable” (based on the familiar melody of “Unforgettable,”) has reached viral status online, yielding more than a million Facebook and YouTube viewings. The American Strings series brings renowned artists from around the U.S. to Corvallis and Oregon State University for an in-depth look at how and why stringed instruments play such a profound role in American music. The American Strings series brings renowned artists from around the U.S. to Corvallis and Oregon State University for an in-depth look at how and why stringed instruments play such a profound role in American music. 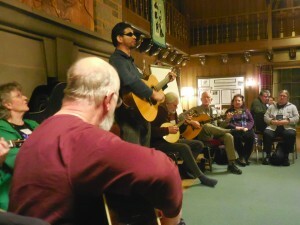 a spring weekend of singing, jamming, learning, sharing and good food at Portland FolkMusic Society’s annual retreat. 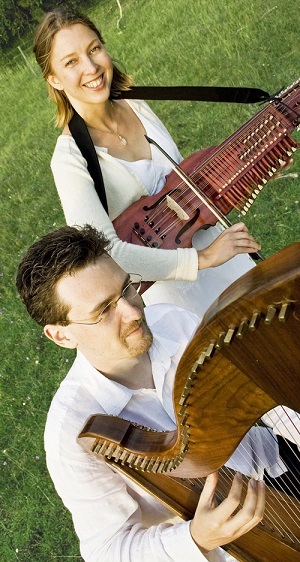 Award winning harp and guitar duo from Ireland with a virtuosic blend of Irish, Ragtime, and much more. A muse with a message, Cassandra has the heart of a lion, and the mane to match. Accompanied by her acoustic guitar, she floors the audience like a sonic boom with captivating messages of peace, prosperity, hope and above all, inspiration. 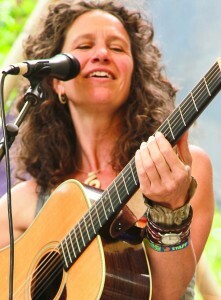 Her unique style of “acoustic conscious folk” kick starts the heart and levitates the soul; reminding us all that we CAN positively affect the world we all share, as long as we choose planet over profit and remember to be ourselves. “I’m very happy to let you know that after a long hiatus from playing, my hand issues have been resolved and I’m back to playing guitar, composing and performing with my band, GuitarMasala. The goal of the Corvallis Guitar Society is to act as a catalyst to bring local guitarists out of the woodwork and provide an opportunity to perform and enjoy guitar music in a friendly and supportive atmosphere. The accent here is on participation and we hope people will want to participate in the open stage section also – no piece of music is too short or simple (though there is a five minute limit if we have a full sign-up sheet) and you are guaranteed a warm round of applause for showing us what you can do! We do have a limited number of open stage slots so be sure to sign up early at the front desk on the way in. To promote classical and related guitar styles by providing a supportive performance environment for people of all ages and ability. We seek to achieve this through a monthly meeting that provides an opportunity to discuss, listen to, and play solo guitar music including classical, flamenco, finger-style, jazz, as well as classical guitar ensemble styles. The Tannahill Weavers are one of Scotland’s premier traditional bands. 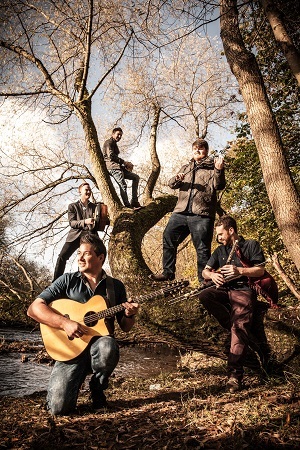 Their diverse repertoire spans the centuries with fire-driven instrumentals, topical songs, and original ballads and lullabies. 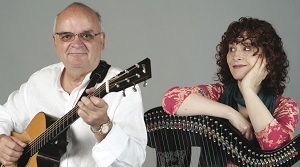 Their music demonstrates to old and young alike the rich and varied musical heritage of the Celtic people. These versatile musicians have received worldwide accolades consistently over the years for their exuberant performances and outstanding recording efforts that seemingly can’t get better…yet continue to do just that. Born of a session in Paisley, Scotland and named for the town’s historic weaving industry and local poet laureate Robert Tannahill, the group has made an international name for its special brand of Scottish music, blending the beauty of traditional melodies with the power of modern rhythms. 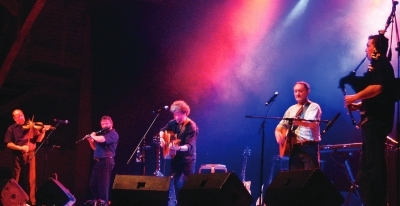 Over the years the Tannies have been trailblazers for Scottish music, and their tight harmonies and powerful, inventive arrangements have won them fans from beyond the folk and Celtic music scenes. In 2011 the band was inducted into the Scottish Traditional Music Hall of Fame, and in 2014 they were joined by innovative piper Lorne MacDougall. Lorne comes with a high pedigree, having arranged and performed pipes for the Disney Pixar movie “Brave”, Dreamworks “How to Train Your Dragon 2”, and the BBCs “Dr Who”, along with a long list of other accomplishments. 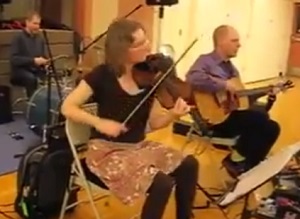 Since I am a “contraholic,” I can often be found any given weekend dancing or calling a contra dance. My inspiration for calling comes from Frannie Marr, who got me thinking that there was life in contra off the dance floor, and Nils Fredland, whose callers’ workshop at American Week (BACDS) in 2012 spurred me down the caller’s path. the collaborative open stage program of CFS and The Arts Center is starting again after a nearly ten year hiatus. The venue, as in the past, is The Corvallis Arts Center and stage. Free and open to all, the stage is open to individual musicians and groups presenting a variety of music under the large “folk” umbrella. Sign up for a set of two or three songs for a total time of 10-15 minutes in a rotating format. Or, just come to be part of an audience appreciative of local performers. 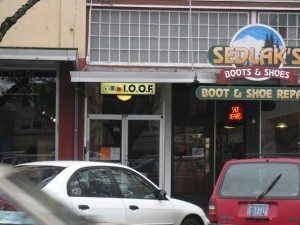 Local Folk will convene monthly, on second Tuesdays, from 7-10 pm, starting APRIL 9, 2019. Dråm is a Swedish folk music group specialized in the sackpipa, the Swedish bagpipe. Dram means “drone” in a Swedish dialect. Dram’s members, Erik Ask-Upmark and Anna Rynefors have both received the prestigious Zorn award and the title of Riksspelman (official master musician) for their playing and exposure of the Swedish bagpipes. Aside from the Swedish pipes, Dram’s other instruments include different Swedish folk whistles and the nyckelharpa keyed fiddle. Songwriters and those who aspire to be songwriters: join us for an informal evening of sharing songs and learning about songwriting greats. Bring your instrument, your songs and your enthusiasm. Hosted by Bob Santelli. Free. All welcome. Note: for those of you who have been coming, we’ll be discussing the GRAMMY Museum Affiliate Songwriting competition, but first timers are welcome, too!